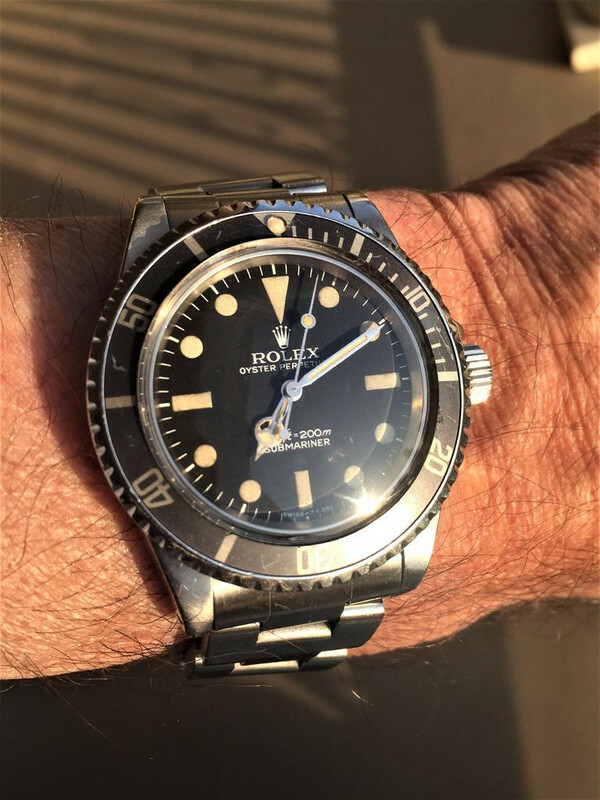 For Sale is a Rolex 5513 Maxi dial with original lume on the hands and dial. Mark 3 bezel is original to the watch and plots have a mild charcoal shade that goes well with the look of the watch. The tritium lume pearl is still intact. Excellent case with thick and even lugs and crown guards. Triple lock Rolex crown. Original thick chamfers are intact. Case has previously been polished lightly. Serial and reference numbers are clear and fully intact. Serial number: 5280xxx circa 1978. 93150 bracelet is a J date code stamp with 11 links. Case back is original, stamped 5513. Rolex automatic self-winding caliber 1520 has just been serviced. Asking 12,500 or best offer, USD shipped domestic. Wired funding, paypal with references. Internationals please add for shipping. Socal in-person also possible. 3 right of return if incorrectly described, you pay shipping both ways. Contact me at 818-943-4755 or on WhatsApp for additional information.